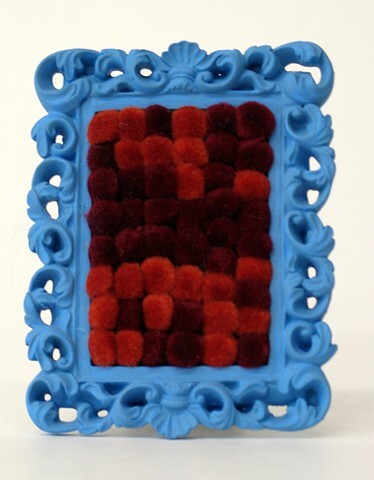 Family Portraits explores the shortage of 'family' through a physical manifestation of absence. 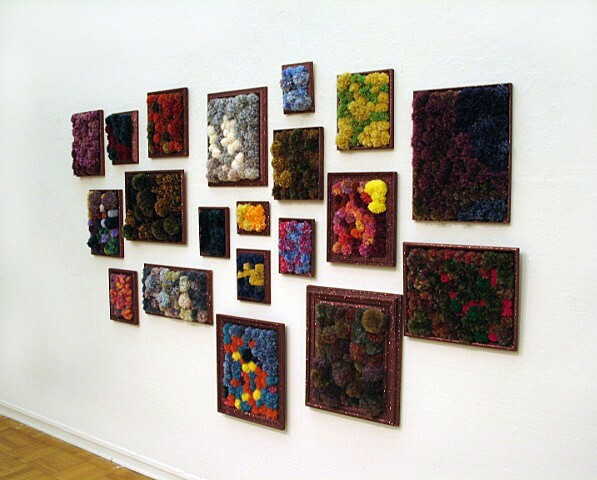 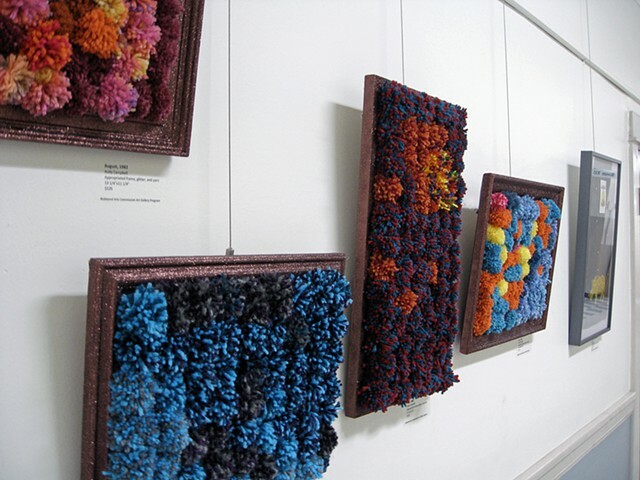 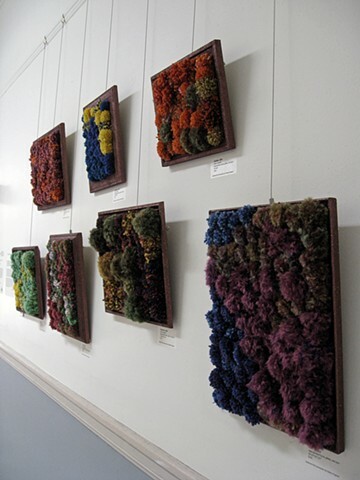 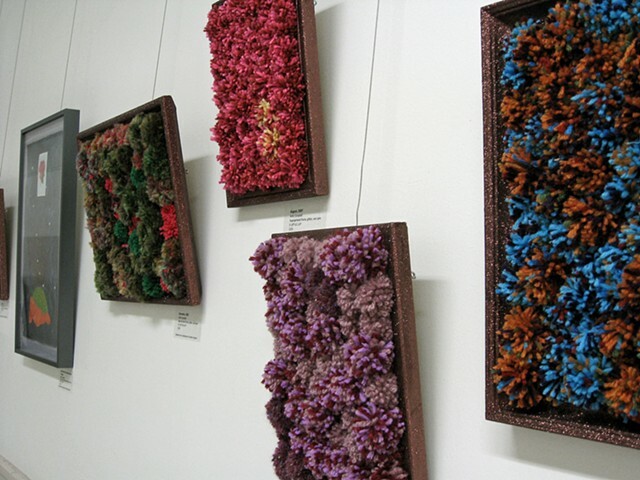 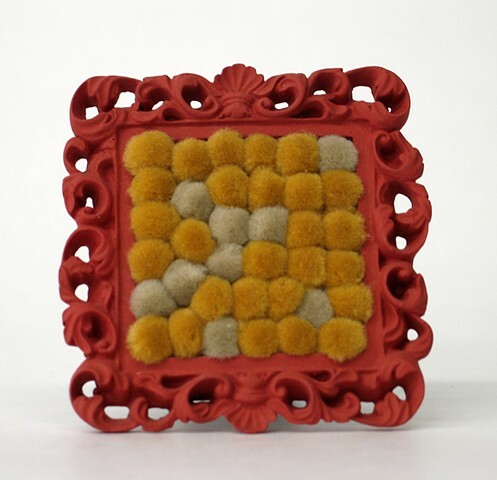 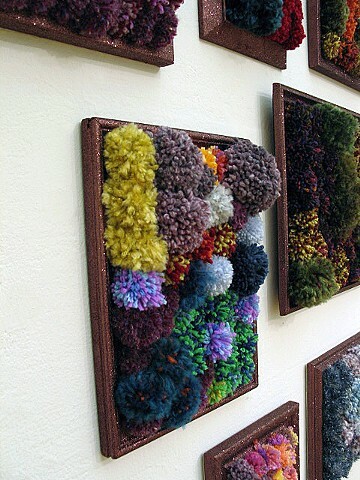 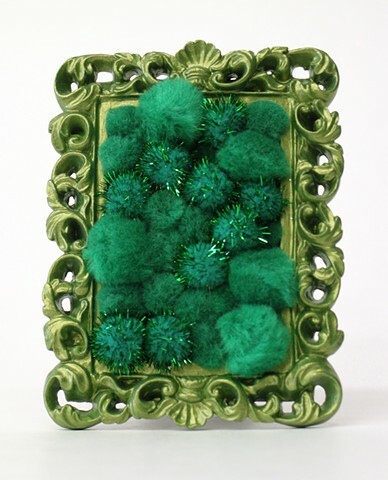 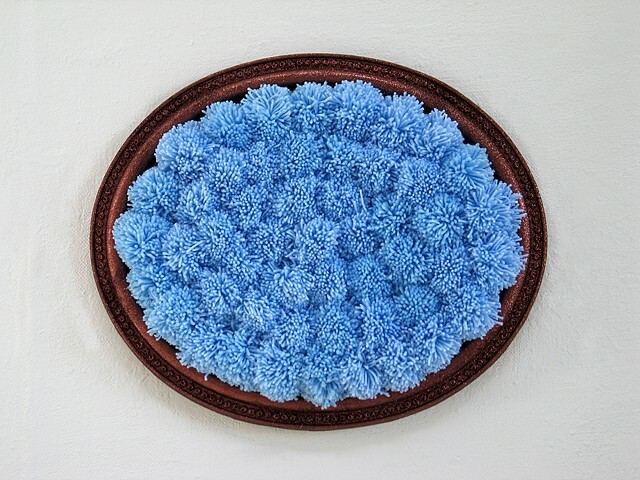 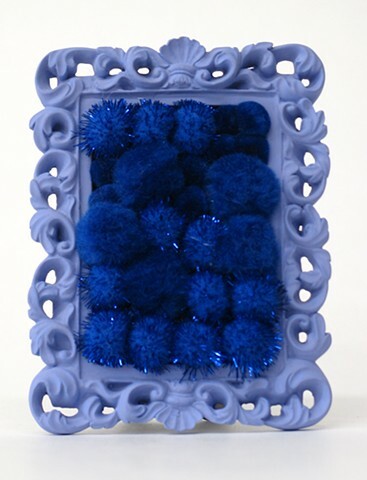 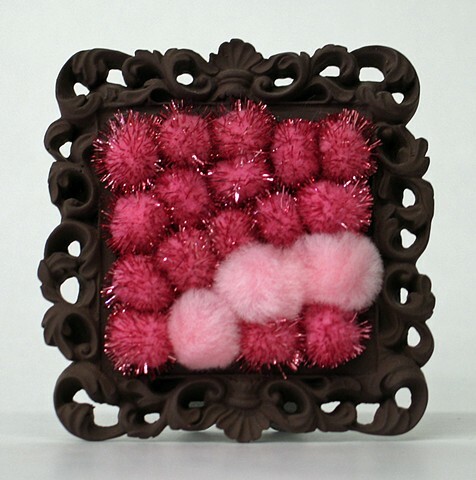 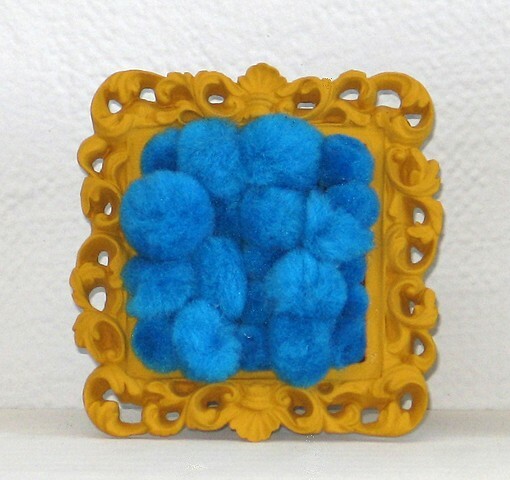 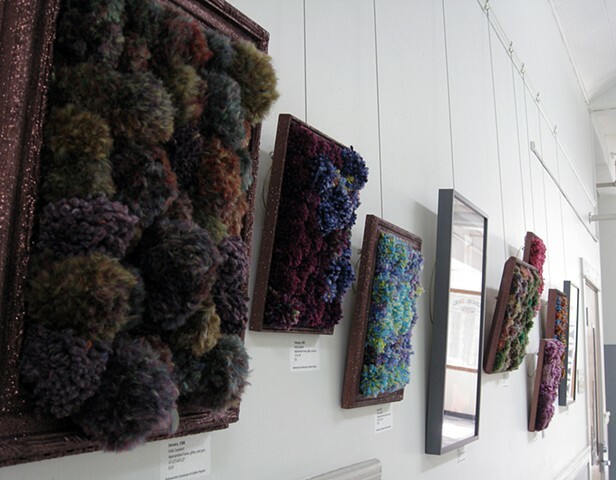 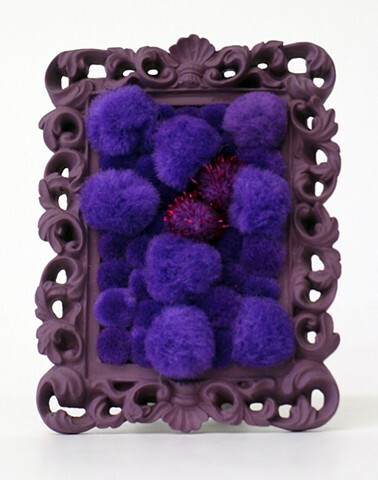 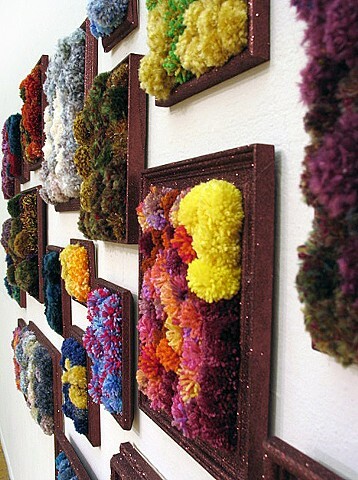 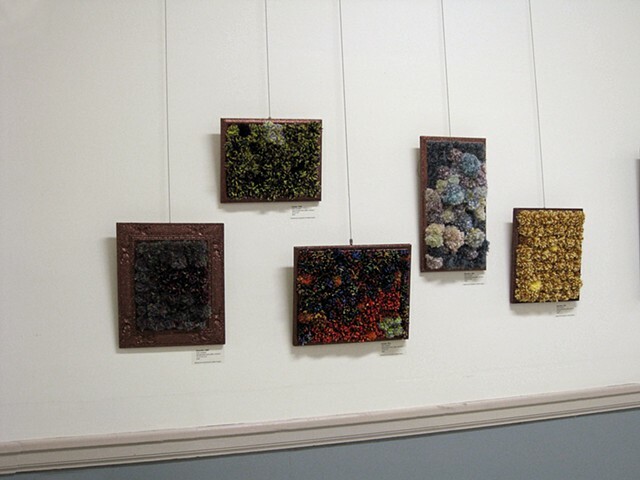 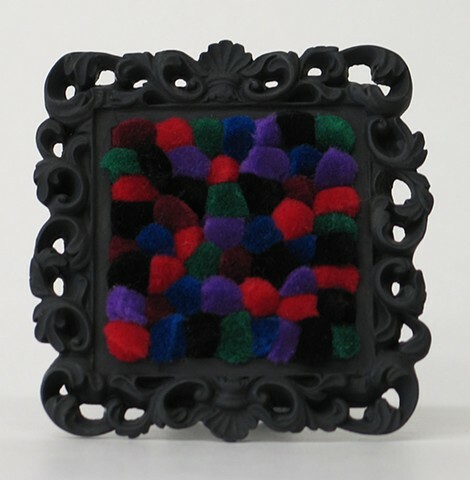 Picture frames filled with colorful yarn pom-poms stand in for actual photographs representing the void. 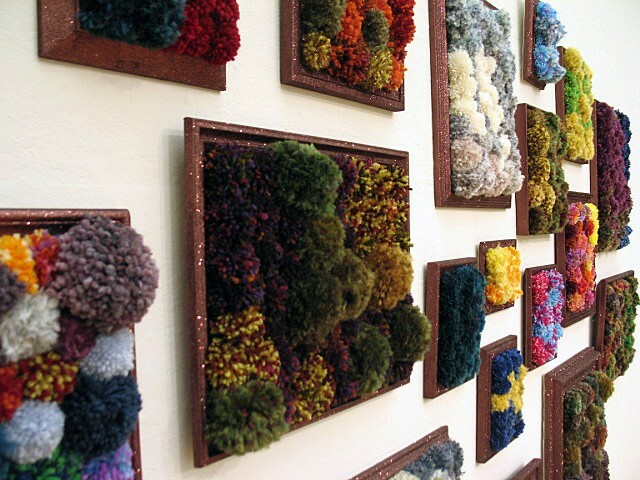 They show what has been 'lost, at the same time leaving proof of its existence. 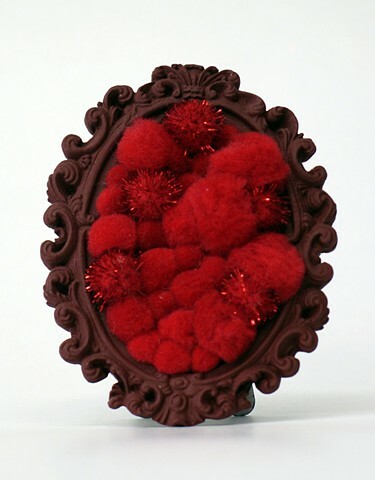 There is a knowing that something should be there, but not being able to discern what (or who) that is. 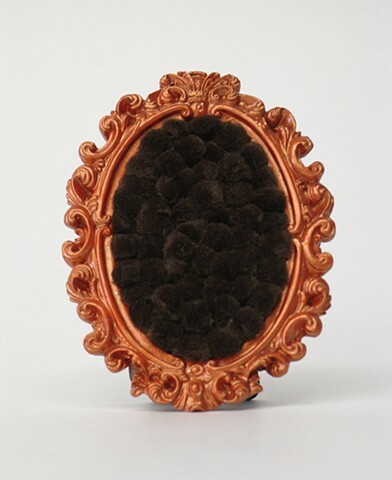 The placement of Family Portraits is meant to mimic the way typical family photos would hang on the walll in a home.